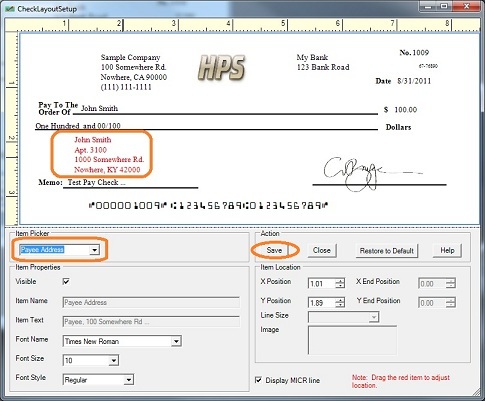 Our programmers released a new version of virtual printer this morning. 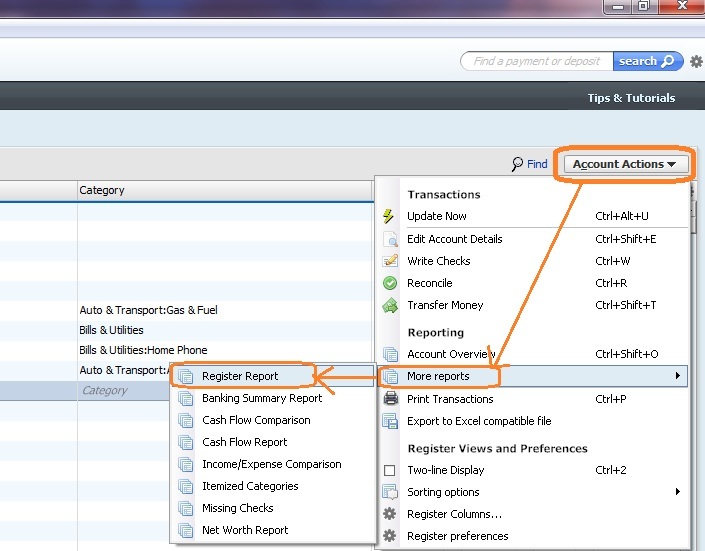 This new edition added a new feature to automatically correct the minor format issue with QuickBooks checks. 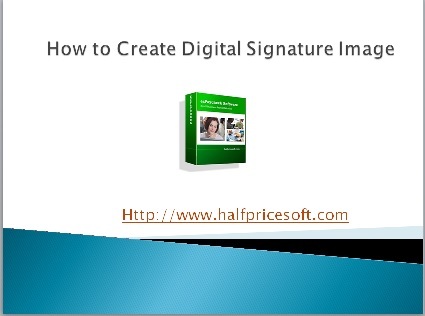 Click the Start button , click Control Panel, click Programs, and then click Programs and Features. 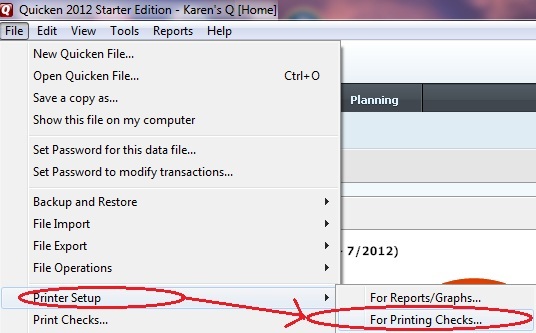 Select EzCheckPrinting QuickBooks Virutal Printer from program list, and then click Uninstall. 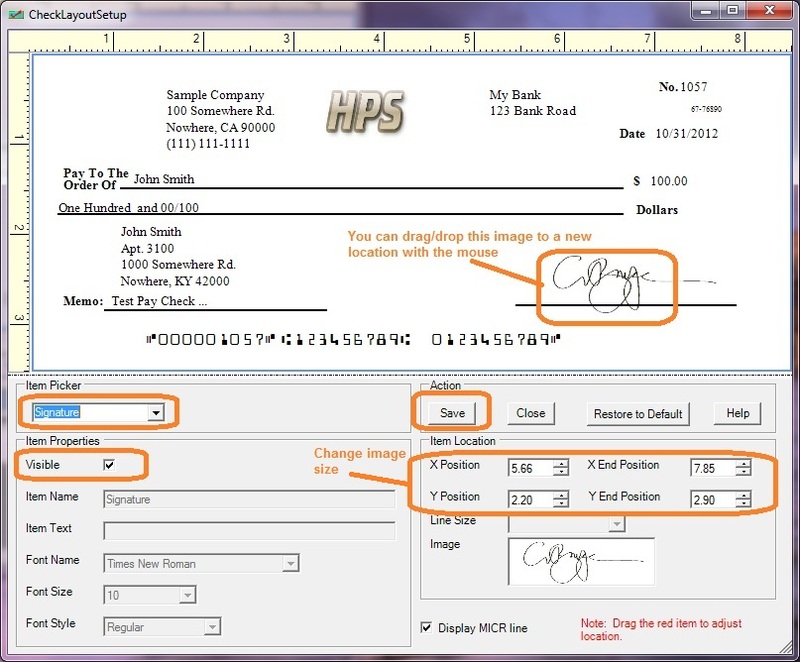 Customers can also use these instructions for adding signature EzPaycheck payroll software, Ezcheckprinting business check writer and Ezcheckpersonal home finance software from Halfpricesoft.com. 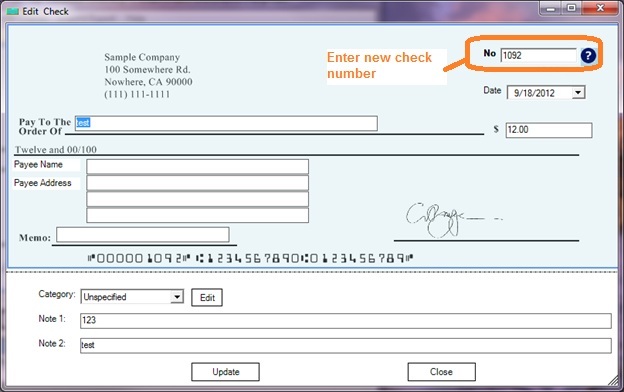 With ezCheckPrinting and QuickBooks Virtual Printer, users can print checks on blank check stock in one step. 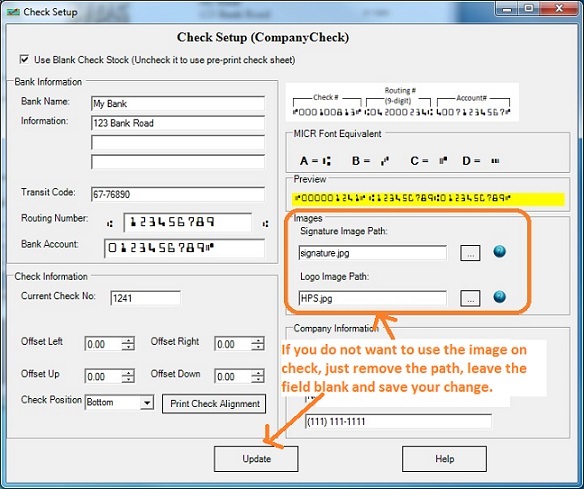 However, if you need to change check number, check data or add extra information on check stubs, you can edit and print the checks from ezCheckPrinting software too. 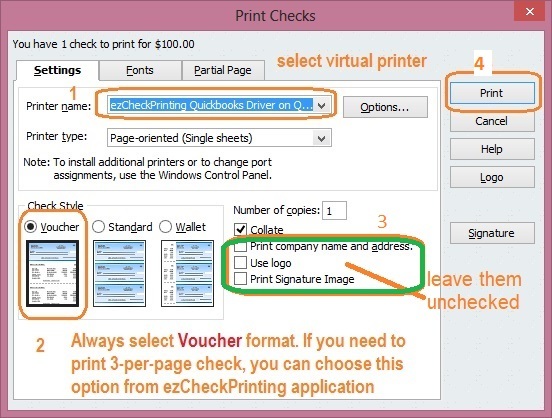 When you print a check within QuickBooks through EzCheckPrinting Virtual Printer, the check data will be imported into ezCheckPrinting software too. - On the print preview screen, you can click the "Close" button to close this preview Windows without printing. 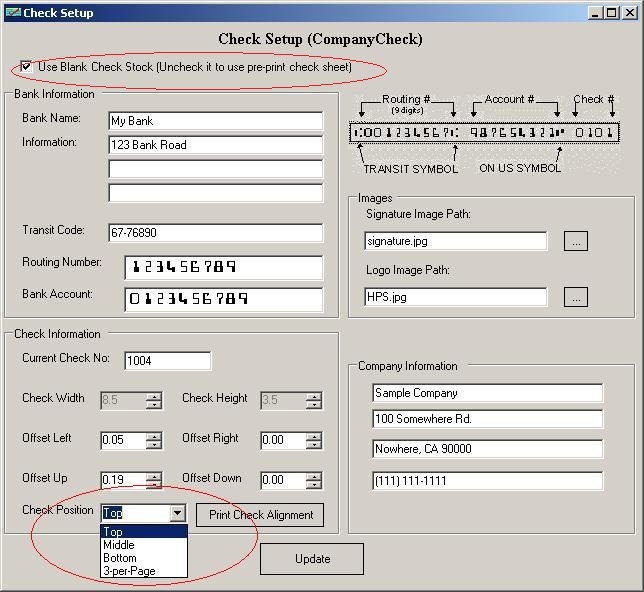 Then you still see ezCheckPrinting check list screen. 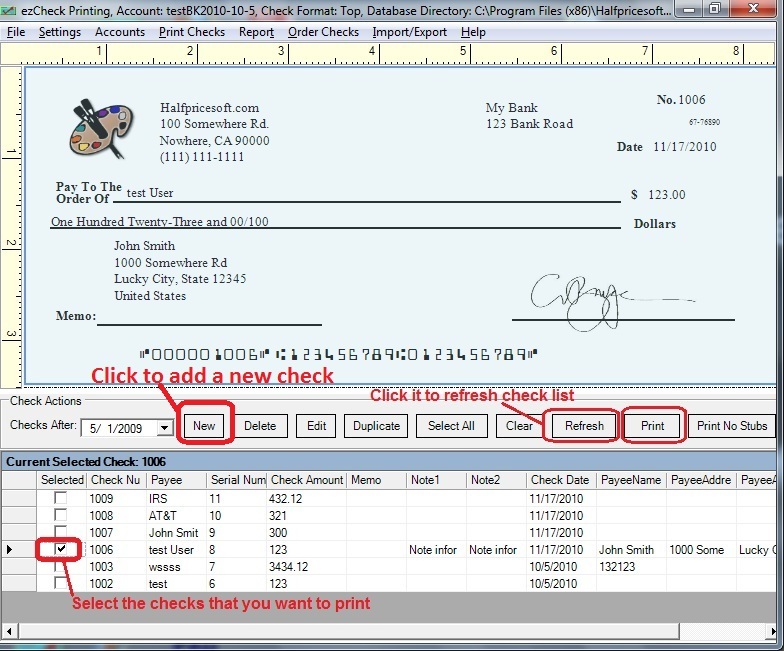 - You can select the check from ezCheckPrinting check list, and then click the EDIT button above the list to edit the check number, memo and add more information in the notes fields. 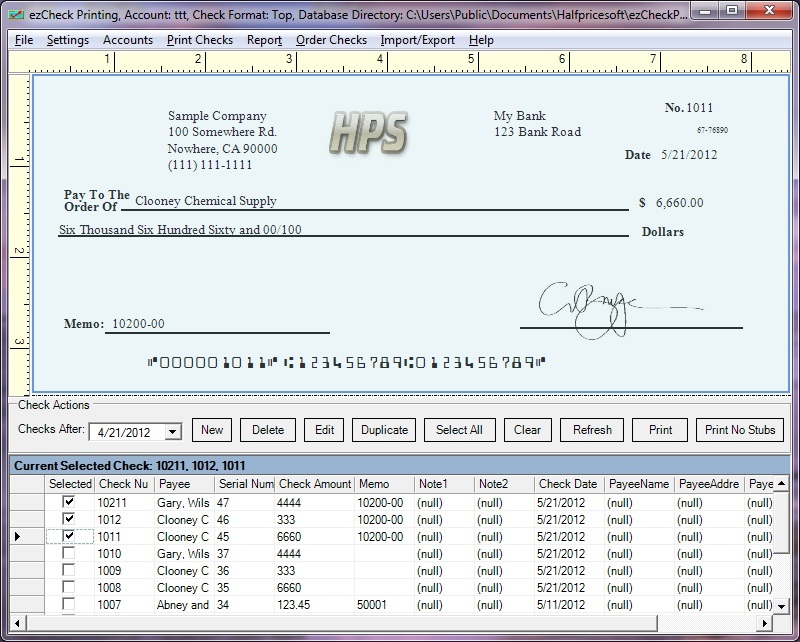 Then you save your changes and print this check. What is PreNote in ACH file? 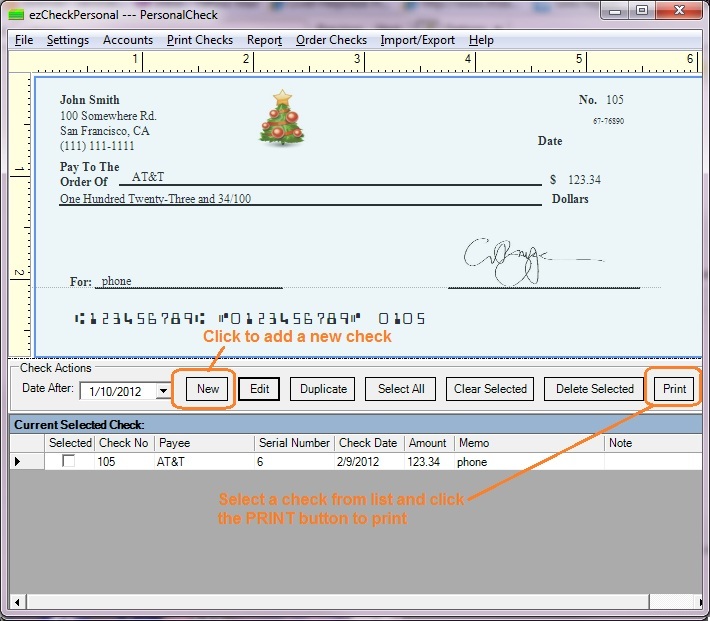 A prenote is the commonly used term for an Automated Clearing House (ACH) prenotification. Prenotes are optional for the originating company, but they are not optional for the receiving bank or credit union (the RDFI, or receiving depository financial institution) once the originating company sends one. Under the ACH rules’ National System of Fines, an RDFI can be fined if they do not validate prenotes sent to them. Under NACHA Operating Rules (also known as ACH rules), a prenote’s purpose is to “validate” the routing number and account number of the receiving bank or credit union. Problem: I installed ezW2 and see the shortcut icon from my desktop. However I cannot start this application. Solution: Usually this issue is caused by permission problem. Please make sure you have enough permission on your local machine to install a new program and run a program. You can log in as administrator to install this program and run it. If you can run it as administrator but cannot run it as normal user. You need give normal user running and write/read permission to this application and the applicaiton folder. If you are the administrator of your machine and still see this problem, you can try the following steps. 1. Select the shortcut icon from your desktop. 3. Click the tab “Compatibility”, then check the option “Run this program as an administrator”. 6. Then double click the shortcut icon to start your application again. 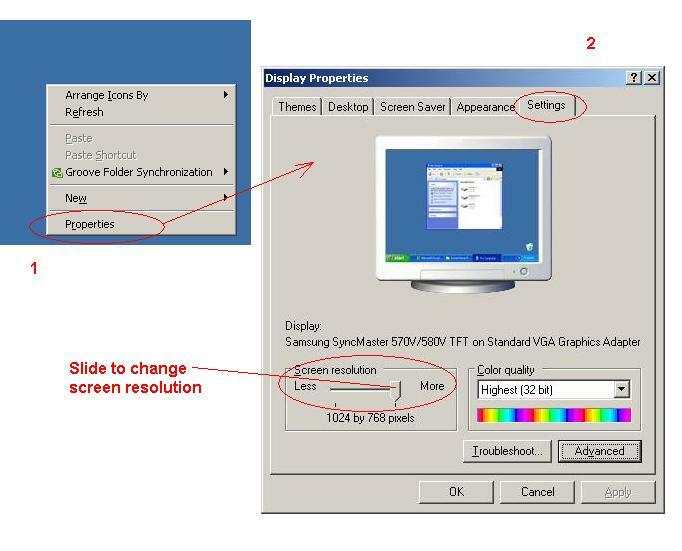 How to change Windows machine screen resolution? Question: I am using Windows 7 Home Premium. 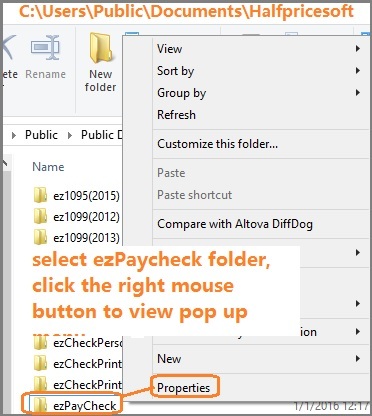 The windows of ezPaycheck will not fill the monitor's screen and on some of them the words are partially cut off. Answer: The possible reason is the screen resolution is too low. Usually increasing the screen resolution can fix such problem. 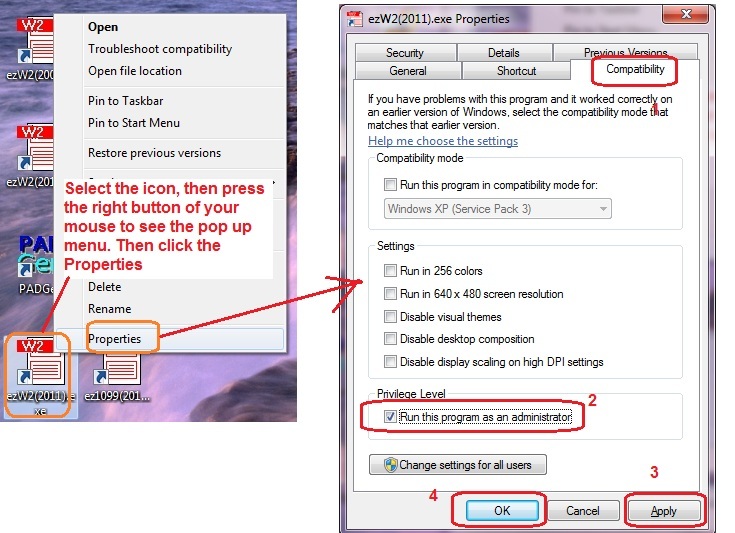 Following is the guide to change the resolution settings. You can check your screen resolution by right clicking an empty space on your screen, then select "properties" from pop up menu. I attached the image of screen resolution with this message. You can change it by move the slide bar. 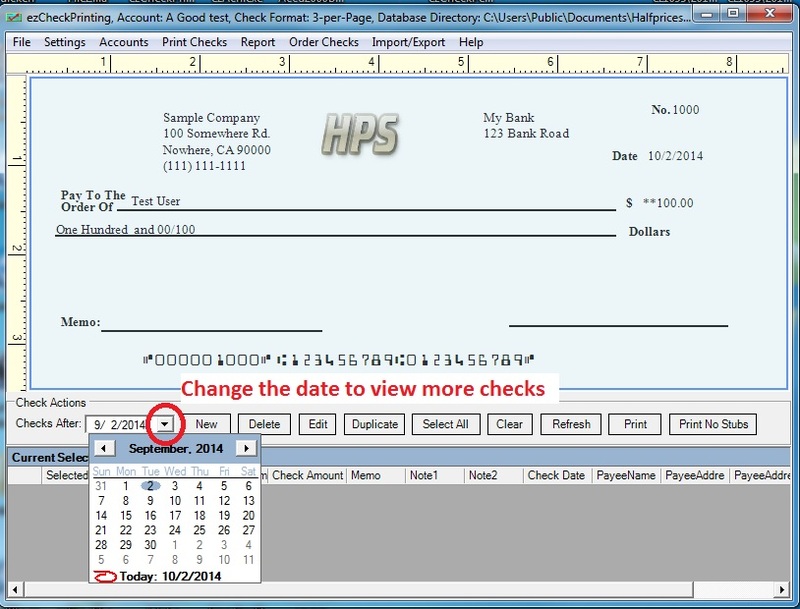 How can I customize the payee address on check? Question: I Have QuickBooks envelopes. 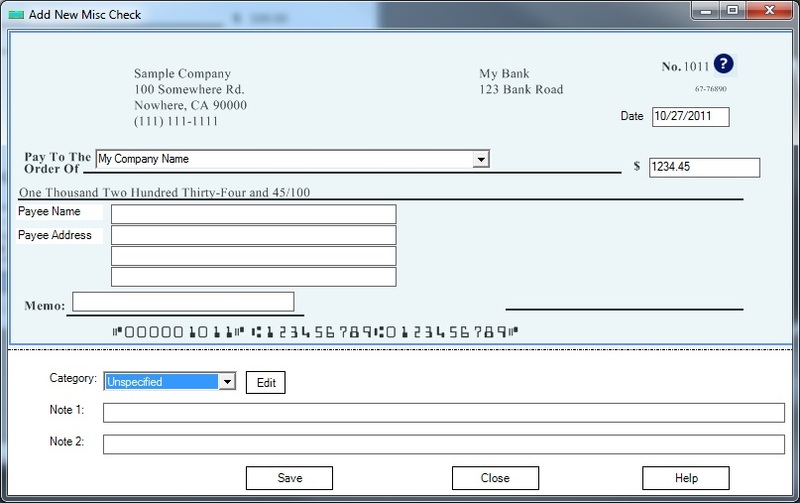 How come when I put a QuickBooks check printed on a blank check i printed on ezCheckPrinting program I can’t see the person's name i want to mail it to. It seems as though the payee address is too high. I see the street and city but I can’t see the person's name in the window of the envelope. 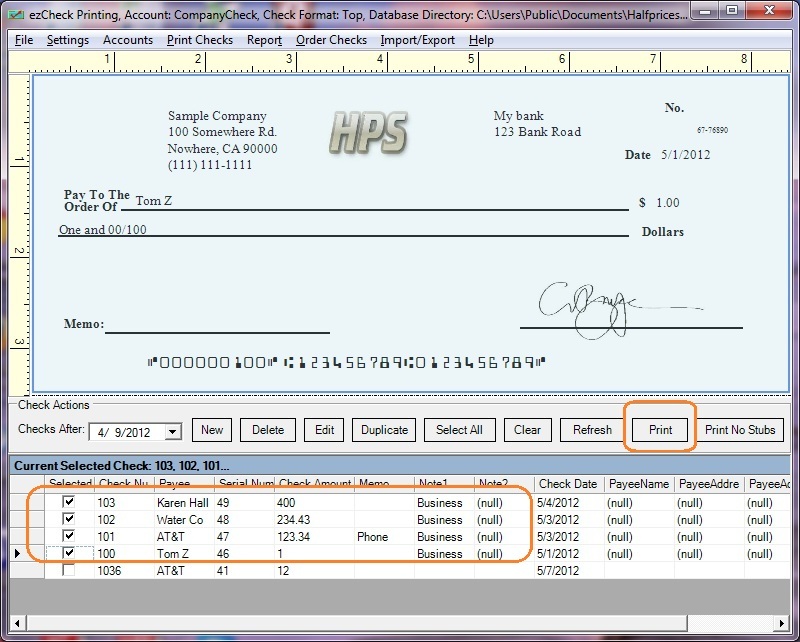 Answer: With ezCheckPrinting software, you can customize the check format easily. 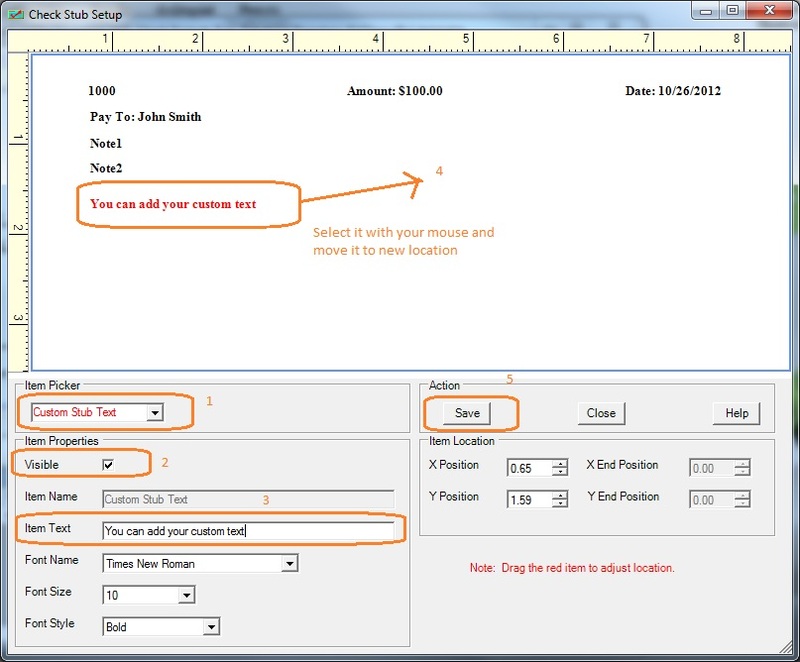 Followings are the steps to customize payee address. 2. Click the top menu "Settings->Layout setup" to open Layout setup screen. 3. 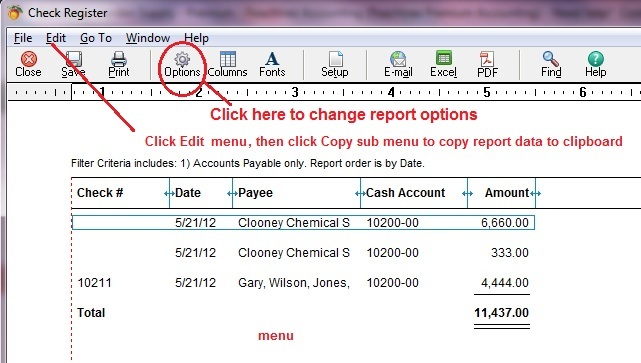 Select Payee Address from Item picker list. 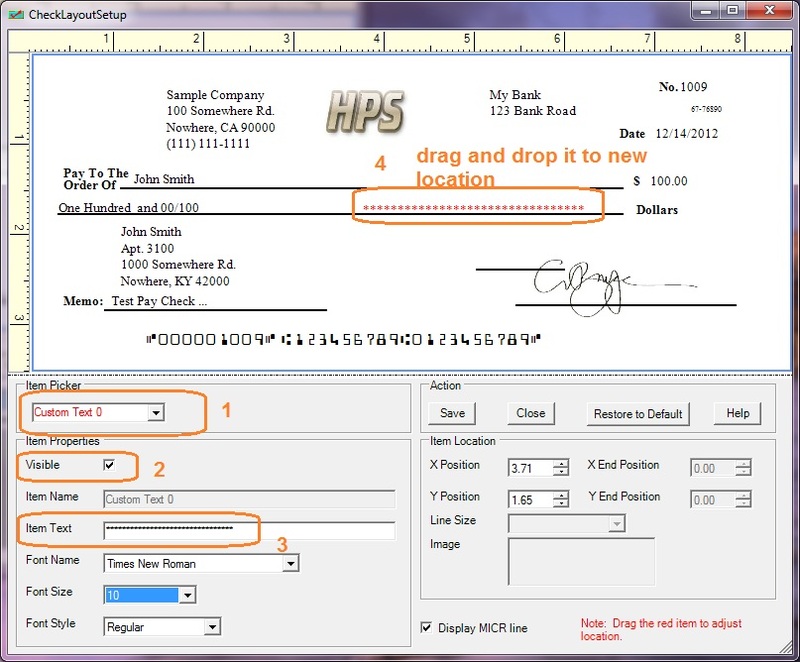 Select payee address on check with your mouse and move it to your target location. 4. 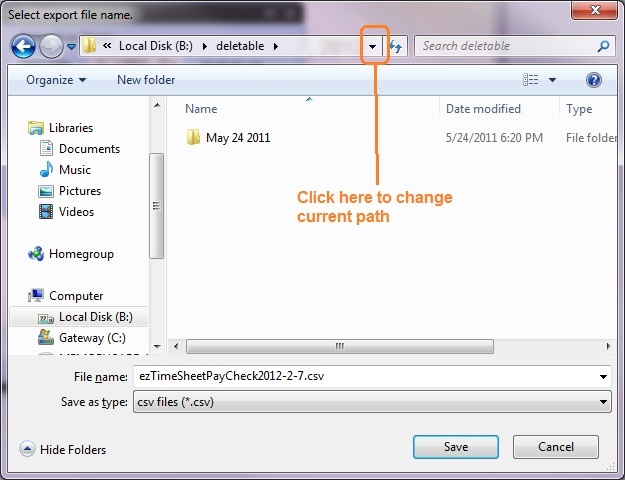 Click the Save button to save your changes. 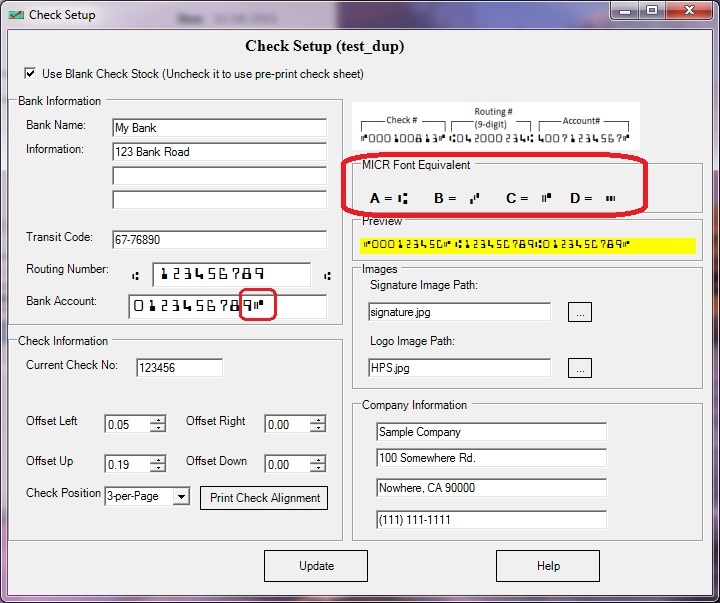 How to make MICR font display correctly on bank checks? 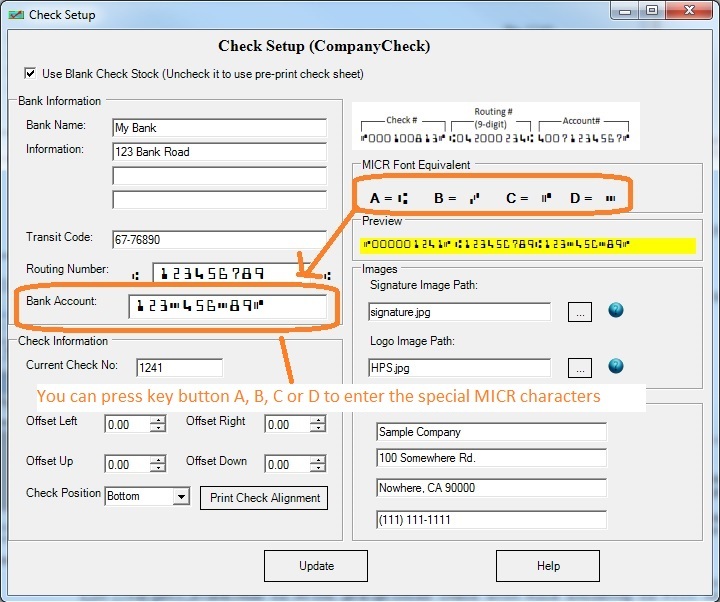 The most common reason for font display problem is the MICR font was not installed correctly. Usually re-install check writer software on your machine can solve this problem. 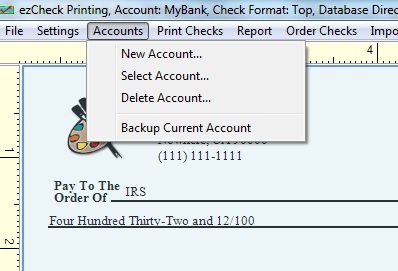 You can click the top menu "Accounts->Back up current account" to backup your data. If you have more than one account, please backup all of them. 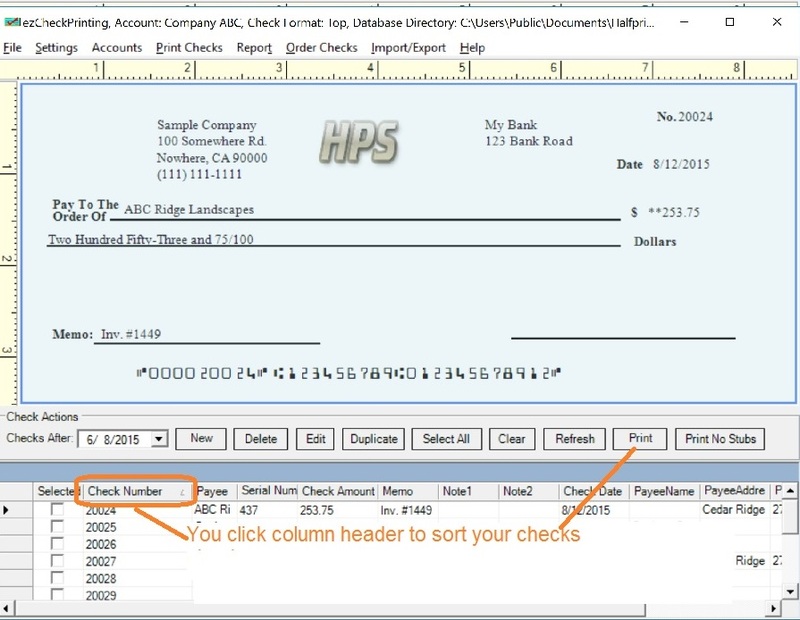 How to print checks over network? 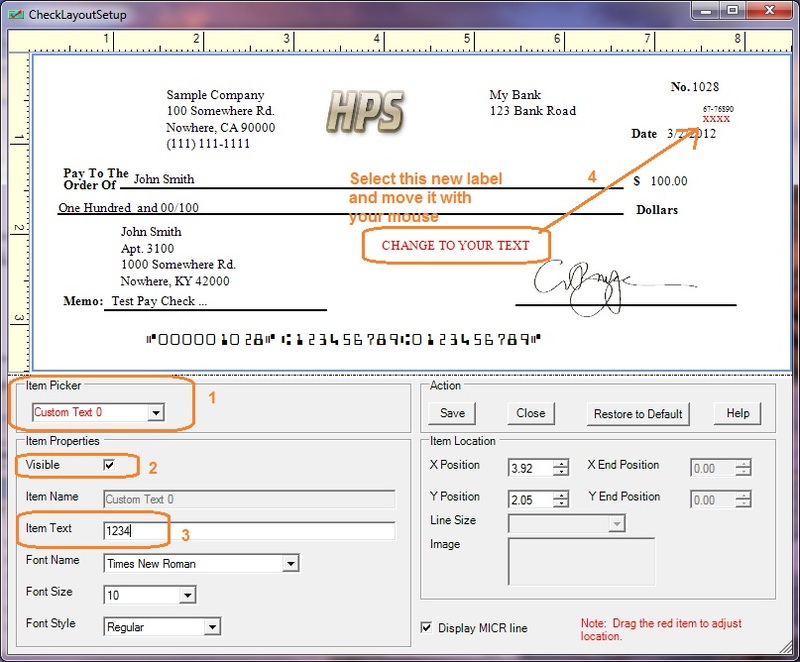 ezCheckPrinting software is the easy-to-use and affordable check writing & printing software for any business. 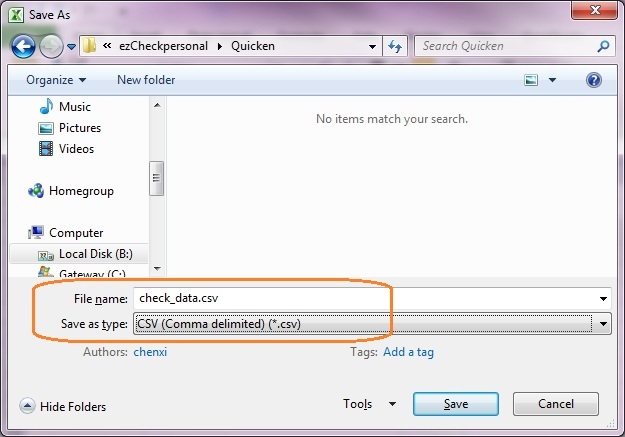 The network version check writer software can allow users to share the same database file. Followings are the steps to share the database. 2. 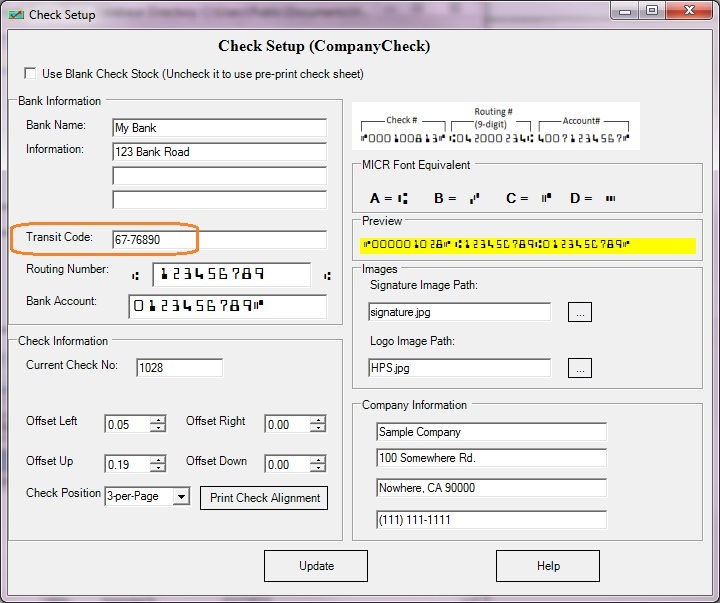 Start ezCheckPrinting on the first machine, register the license key and set up the check account. 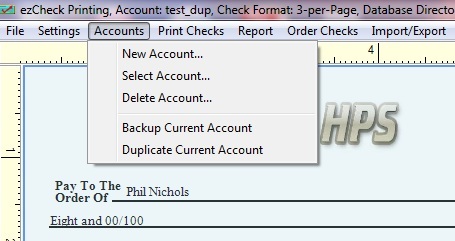 Then click the top menu "Account->Duplicate account" to copy the database file to the shared folder on the server. 3. 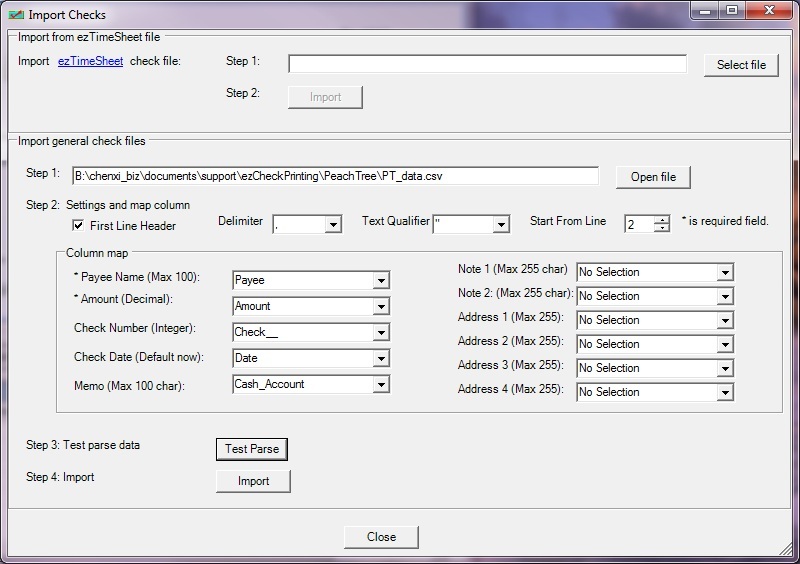 Edit ezCheckPrinting database path to use the shared file on the server. 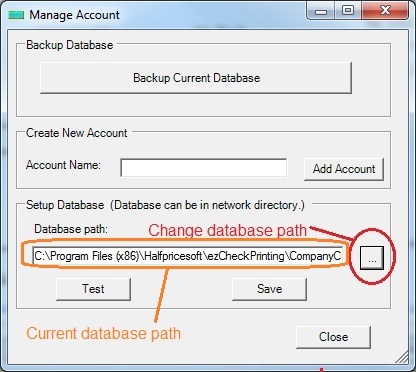 - You can click the top menu "Account->Manage Account" to change the database path to the database file on your server. - Test the connection. If it works, click the SAVE button. 4. 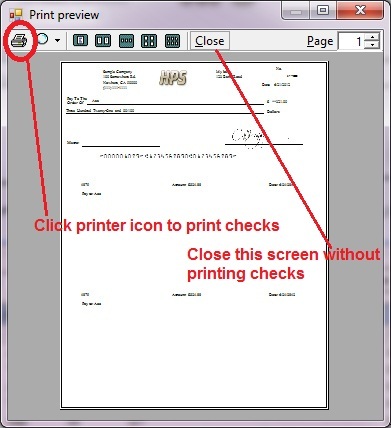 Install ezCheckPrinting on the second machine, register the license key, and repeat step 3. 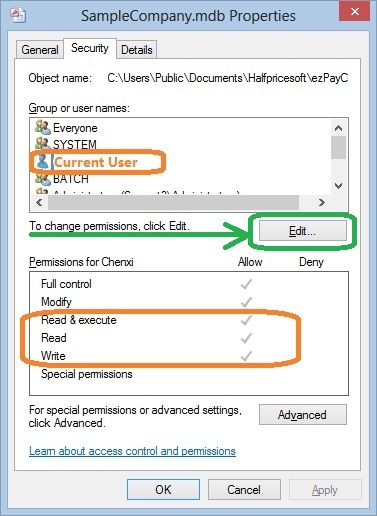 When you share the folder and database file on the server, please give FULL CONTROL permission (or at least Read, Write and Execute Permissions) to ezCheckPrinting users. 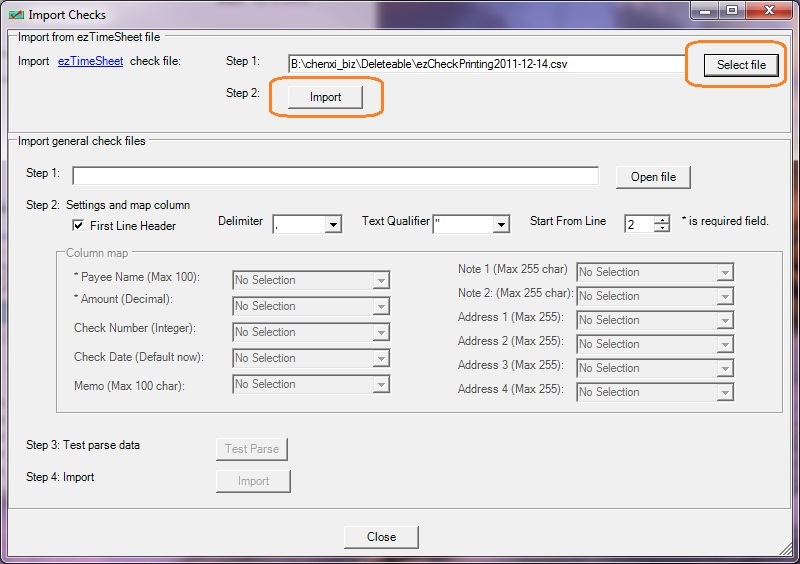 - Select the database file by mouse, right click to view properties. You need to have read, write and execute permisson. 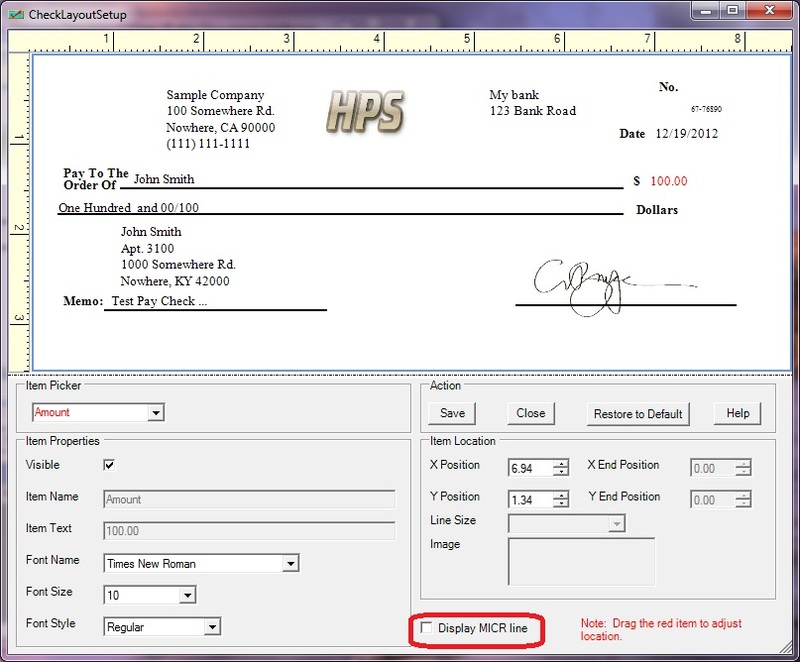 ezCheckPrinting is easy-to-use and affordable check writing software for any size business. 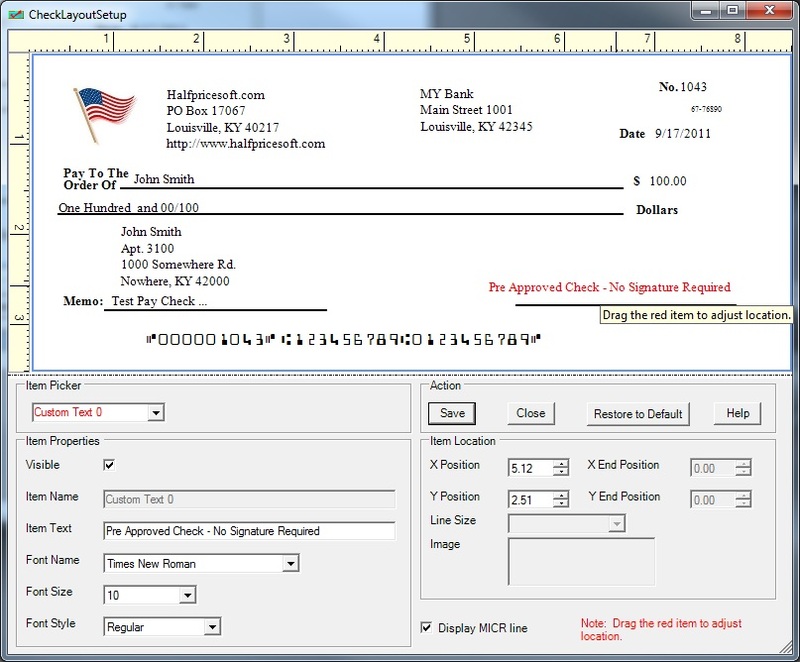 With ezCheckPrinting software, customers can print on standard size checks or on 8 ½ x 11-inch pages with check-on-top, check-in-middle, check-at-bottom and 3-per-page formats. 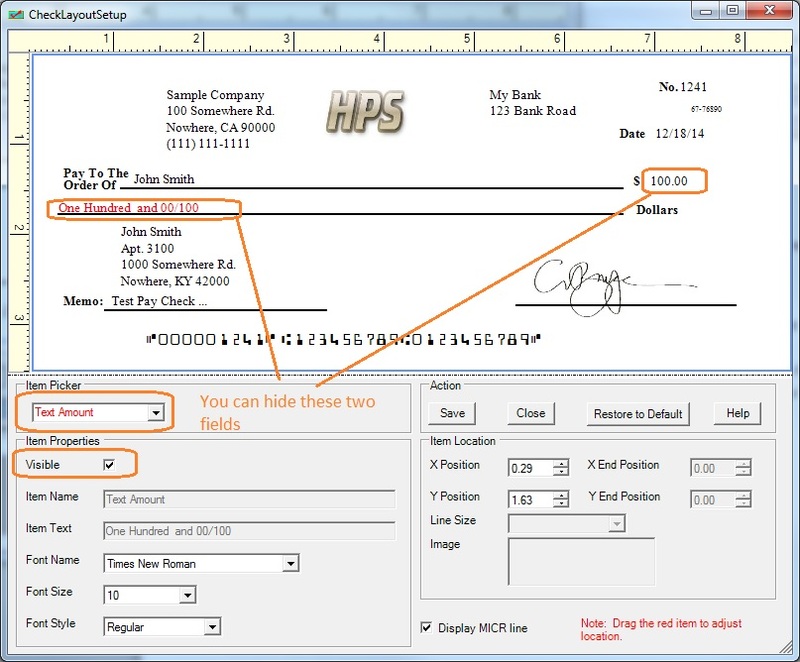 The year 2011 version is more user-friendly and allows users customize check layouts, set-up and print checks quickly, and eliminates need for expensive pre-printed checks. 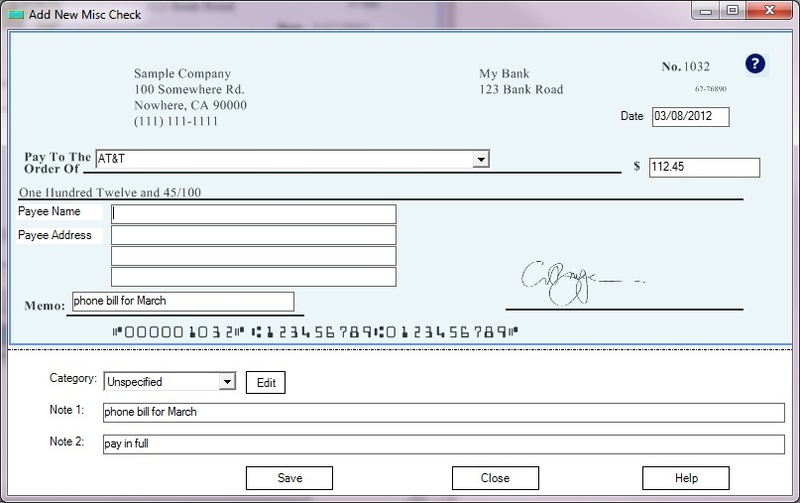 And the new blank check printing and importing feature make it even easier to work with ezPaycheck Payroll Software, Quicken, QuickBooks, Peachtree or other software. 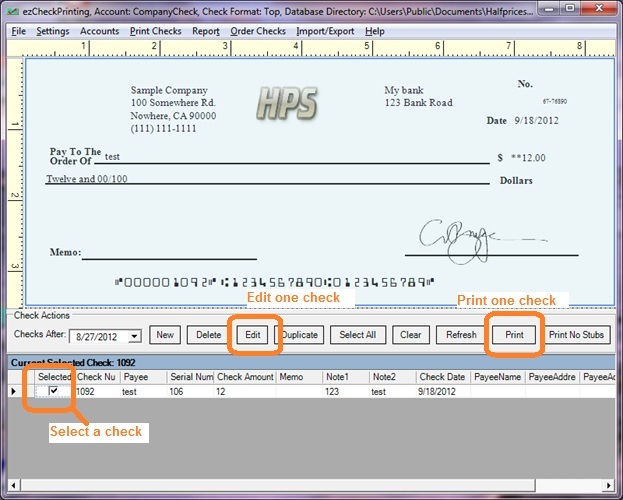 User can change the check format to "3-per-page", "Top", "Middle" or "bottom" from the check setup page. 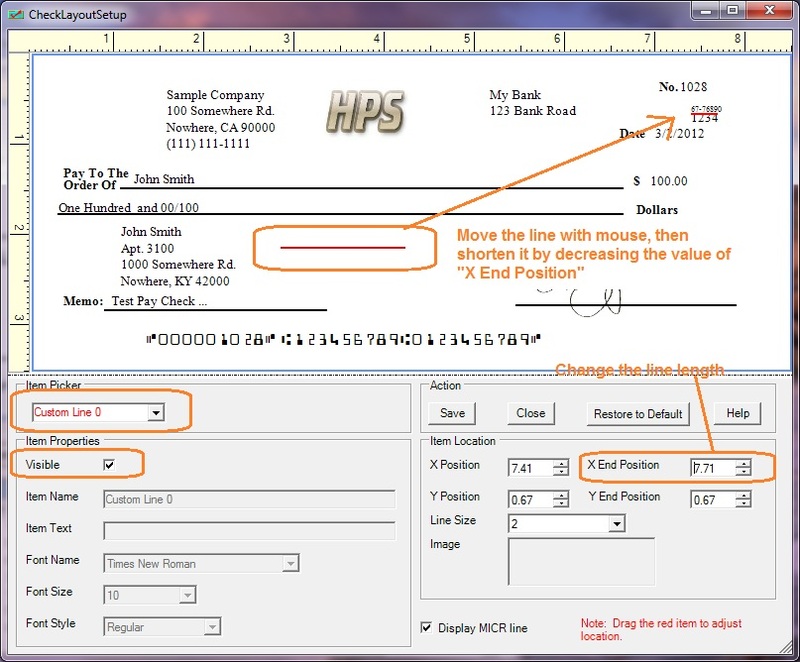 2. change the value of the check position field to "3-per-page", "Top", "Middle" or "bottom". (the last item in check information group). 3 Click the Update Button to save your changes. 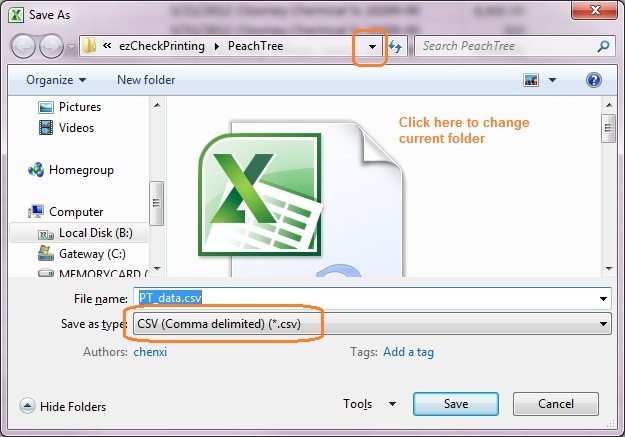 How to update ezCheckPrinting check writing software? 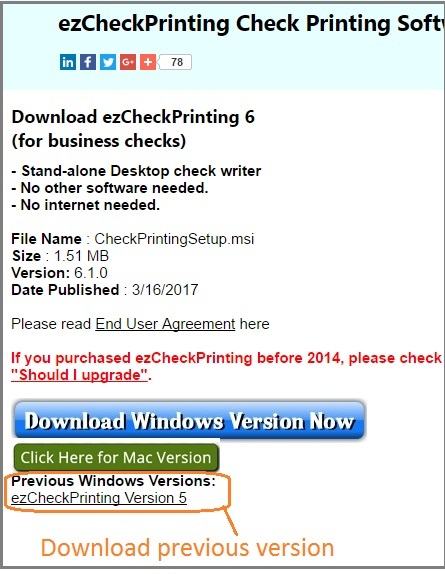 If you purchased ezCheckPrinting before 2014, you should not download version 6.0. 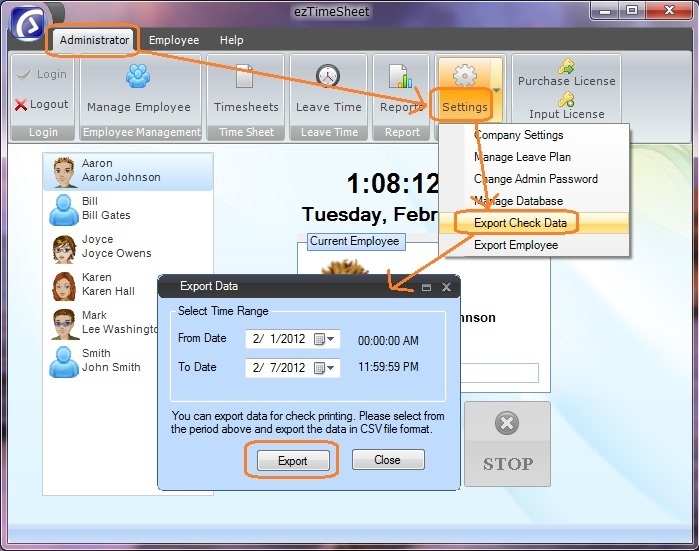 Your old key code will not for ezCheckPrinting version 6.0 and later. If you decide to upgrade your version to the latest version, you need to purchase the new key code. Followings are the steps to move ezCheckPrinting from the old machine to a new one. 1. 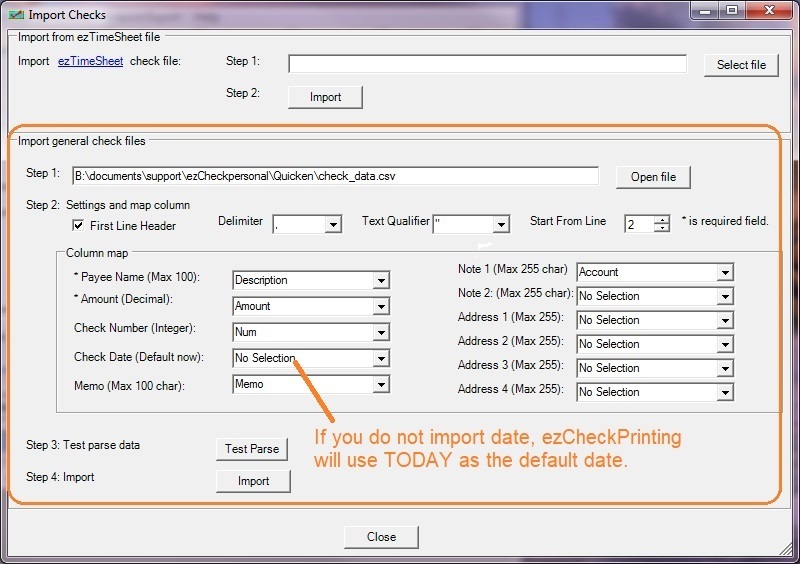 Install ezCheckPrinting first on your new machine. 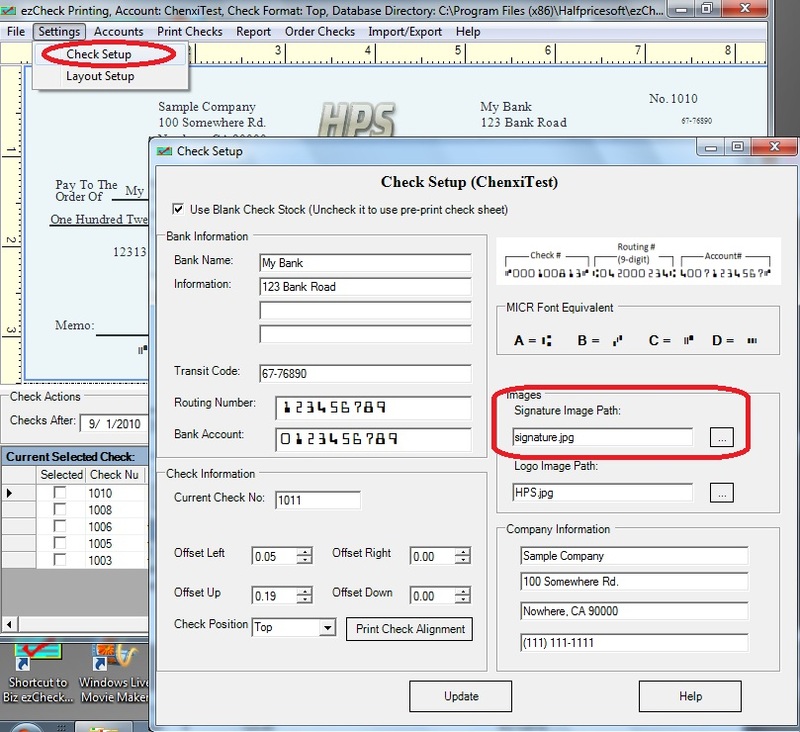 Open ezCheckPrinting application on your old machine and insert your USB disk. 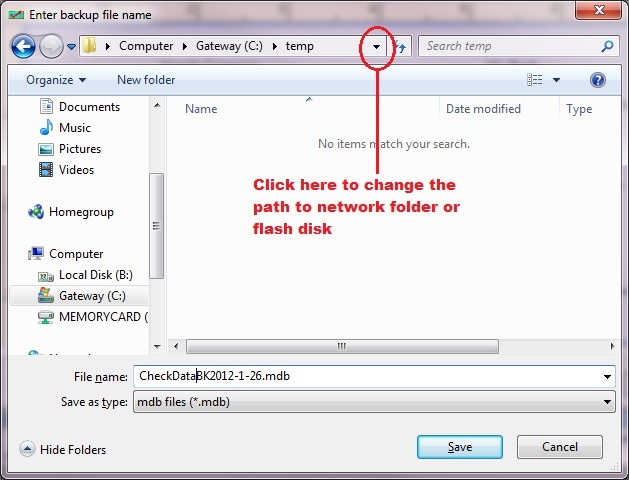 Click top menu "Accounts->Backup Current Accounts" to backup current database file to usb disk. You can enter the new name as you like. 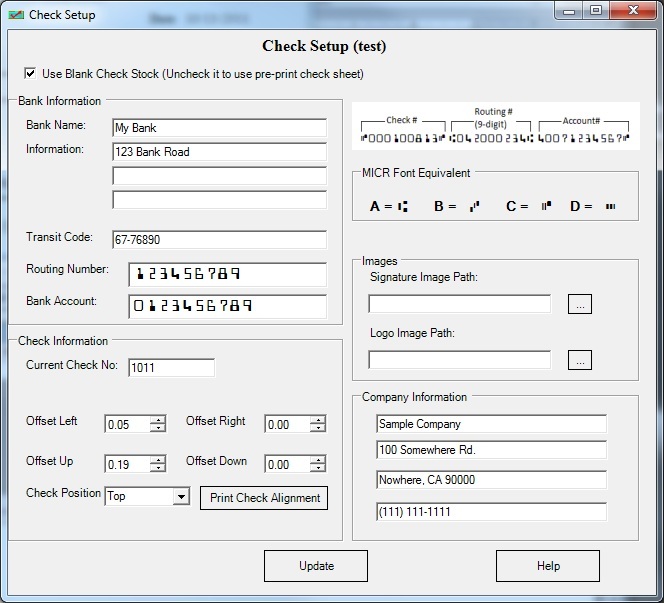 Start ezCheckPrinting on the new machine, then click the top menu "Account->Restore account" and select the file from the USB disk. 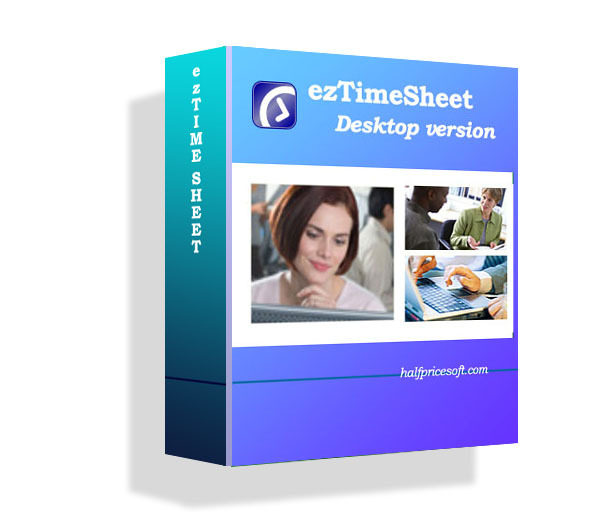 ezCheckPrinting will copy this backup file to your new machine. If you are user of the previous version 3.0.6 or older, please review the Check Setup (by clicking the top menu "settings->check setup") after you update to the new version. You may need to add the MICR code after the Account Number.